French is an inflected language, which means that nouns and pronouns affect verbs and grammatical case based on whether they are singular or plural. Inflection in French grammar also affect the other major parts of speech in French, including French adjectives, French pronouns, French adverbs and French nouns. French adjectives must agree in number and gender with the nouns that they modify. Accordingly, French adjectives come in four varieties: feminine singular, masculine singular, feminine plural and masculine plural. Pronouns are simply words that stand in for nouns. French pronouns follow a pattern similar to English pronouns, as demonstrated in the table below. 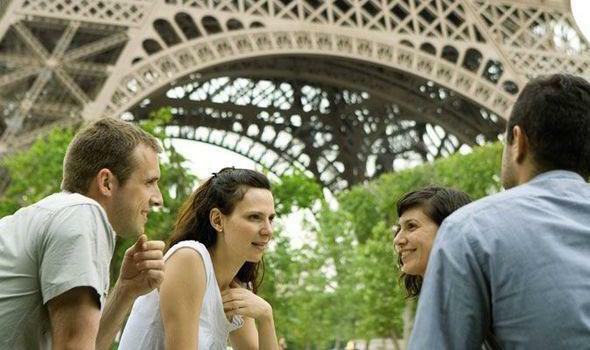 Similar to English, French adverbs modify verbs, other adverbs, adjectives or whole clauses. Additionally, French adverbs are created by adding a suffix to French adjectives. Simply add –ment to a French adjective, and a French adverb is created. As in English, adverbs in French are used to modify adjectives, other adverbs, verbs, or clauses. Most adverbs are derived from an adjective by adding the suffix -ment to its feminine form (-ment is analogous to the English suffix -ly), though some adverbs are derived irregularly and others do not derive from adjectives at all. In French, every French noun is either masculine or feminine. As one might expect, masculine nouns are words for men, boys and male animals. Feminine nouns are words for women, girls and female animals. Additionally, French noun vocabulary for inanimate objects may also be masculine or feminine, with few discerning patterns. Each French nouns must be learned with its associated gender. Need a next step? Read this post on the French alphabet. Click here to see the best French learning software currently available.